Your source for water conservation news and information. There are too many water stakeholders on the Columbia River Basin to list in one article. From federal regulators to citizen groups, from industry representatives to state legislators, there are hundreds of organizations dedicated to this region and its water. This article is an overview of some of the key players in the great water debates underway across the Northwest. Learn about some federal, state, and local agencies and how to get active on YOUR watershed. First in line is the Bureau of Reclamation, which is part of the Department of the Interior, Pacific Northwest Region. Our goal is to meet the increasing water needs of the Pacific Northwest while protecting the environment and the public's investment. The Pacific Northwest region encompasses the Columbia River Basin, which includes the states of Idaho and Washington, most of Oregon, and parts of Montana and Wyoming. Water is supplied from 54 reservoirs with a total active capacity of approximately 18 million acre-feet. Power production facilities at Grand Coulee Dam are among the largest in the world. Established in 1902, the Bureau of Reclamation is widely known for the construction of dams, power plants, and canals in the western portion of the United States, including those in Washington, Oregon, and Idaho. The Bureau is the largest wholesaler of water in the United State, and has ongoing projects within Washington, including the Lake Roosevelt Letdown. Established in 1937, The Bonneville Power Administration is a federal agency under the U.S. Department of Energy. BPA serves the Pacific Northwest through operating an extensive electricity transmission system and marketing wholesale electrical power at cost from federal dams, one non-federal nuclear plant and other non-federal hydroelectric and wind energy generation facilities. BPA aims to be a national leader in providing high reliability, low rates consistent with sound business principles, responsible environmental stewardship and accountability to the region. In 1970 The United States Environmental Protection Agency was developed. The EPA gives the US Government the ability to establish and implement guidelines to improve environmental conditions in America. The EPA employs 17,000 people across the country, including our headquarters offices in Washington, DC, 10 regional offices, and more than a dozen labs. Our staff are highly educated and technically trained; more than half are engineers, scientists, and policy analysts. In addition, a large number of employees are legal, public affairs, financial, information management and computer specialists. The Yakima Nation, the confederated tribes of the Colville Reservation, and the Spokane Tribe are three important tribes in the greater Columbia Basin actively involved in these water debates. Following the western water law value of "first in line, first in rights", it is impossible to overlook tribal authority when you are planning your water future. Here's a link to federally-recognized tribes in Washington State. Our regional water regulator, Washington's Department of Ecology, is involved in everything from water quality to water distribution and use. We are working closely with Washington communities and their citizens to provide effective water management. Historically, Washington residents have enjoyed an abundance of water, but water availability is no longer a luxury. We are committed to meeting current water needs and ensuring future water availability for people, fish and the natural environment. The Washington Department of Fish and Wildlife actively pursues the protection of fish by monitoring their natural habitat. The agency's mission is to provide sound stewardship of fish and wildlife. The health and well-being of fish and wildlife is important not only to the species themselves, but to humans as well. Often, when fish and wildlife populations are threatened, their decline can predict environmental hazards or patterns that also may have a negative impact on people. Washington Department of Fish and Wildlife’s Priority Habitats and Species (PHS) List, monitors specific species of concern, adding in the conservation and protection of a diverse variety of Washington’s fish and wildlife. Washington State Department of Health monitors a number of potential health concerns including health related illness from exposure to environmental hazards. Within the Department of Health, the Division of Environmental Health monitors environmental concerns including drinking water, fish safety facts, and wastewater management. Washington Public Utility Districts or PUDs are nonprofit, community-owned and governed utilities that provide electricity, water, wholesale telecommunications and sewer service. The mission of the Washington Public Utility Districts Association is to support, protect and enhance its members’ ability to provide not-for-profit, locally controlled utility services for the people of Washington. The State of Washington has 28 PUDs operating in the areas of electricity (23), water (19), and broadband telecommunications (13). There are dozens of groups in Washington State that act as conservation advocates, policy advocates and educational proponents. This summer, Our Northwest published an article called Adopt Your Watershed, which links to a very robust EPA data base which includes information on everything from pollutants to legislators, to groups active in watersheds across the nation. It's a great place to begin your research. For the past 22 years, The Palouse Clearwater Environmental Institute has focused on improving citizen involvement by providing citizens of the Palouse with first-hand experience in watershed restoration though projects such as Adopt- a-Stream, Rose Creek Preserve, Learning Nursery and others. Here's a summary of the recent activities of two more advocacy groups: In October of 2008, Center for Environmental Law and Policy and Columbia Riverkeeper caught the media’s attention with their opposition to the Lake Roosevelt drawdown. These two organizations challenged the U.S. Bureau of Reclamation after appealing two water decisions made by the Washington State Department of Ecology. Read more about the appeal. CELP’s mission is to protect and restore the freshwater resources of western Washington and the Columbia River watershed through education, policy reform, agency advocacy, and public interest litigation. 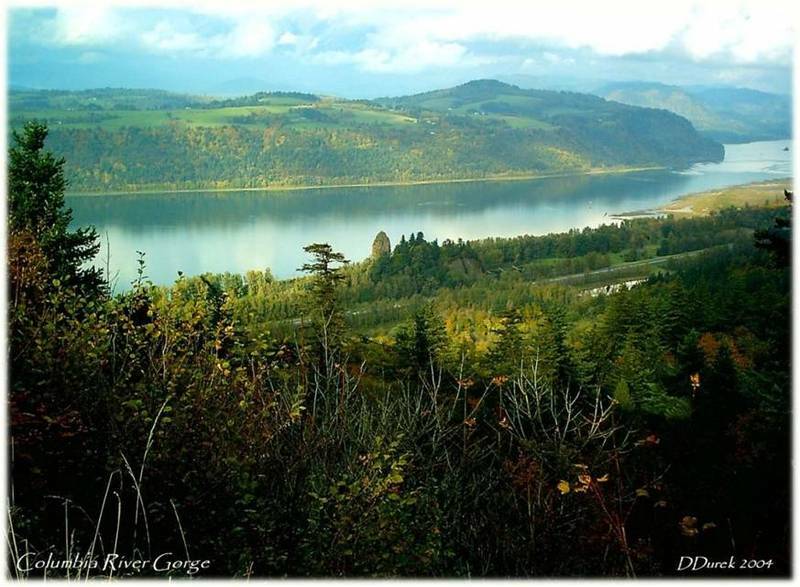 The Washington Department of Ecology (Ecology) and the U.S. Bureau of Reclamation are working together to divvy up 132,500 acre feet of water from Lake Roosevelt behind Grand Coulee Dam to towns, farms and fish & wildlife in a vast area east of the Cascades. It's part of the Columbia River Basin Management Program administered by Ecology. The Columbia River Basin Water Management Program has a vision to preserve and enhance the standard of living for the people of Washington by strengthening economic conditions and restoring and protecting the Columbia Basin’s unique natural environment. Their goals include enhancing the natural environment to benefit people, fish and wildlife, as well as meeting the needs of out-of-stream water users. Areas marked in red on the map you see here represent as many as 379 holders of "interruptable water rights" who are increasingly at risk of having their water supply cut off during drought years. Areas marked in green represent irrigators of 10,000 acres of land in the Odessa Ground Water Study Area who sit over a rapidly-depleting aquifer. Through the Columbia River Basin Management Program that depleting aquifer will be fed by canals, some of which are already in place, and some that still need to be built. In 2006 decades of heated debate culminated in House Bill 2860 which established the need for a Columbia River Basin Water Management Program, also referred to as The Columbia River Basin Water Supply Development Program. The plan directed Ecology to aggressively pursue development of water supplies to benefit both in stream and out-of-stream uses through storage, conservation and voluntary regional water management agreements. The bill also created a Columbia River Basin development account. The state Department of Ecology later approved $46 million for water-storage and conservation projects throughout Eastern Washington. On March 20, 2008, Governor Chris Gregoire signed legislation that will release the largest delivery of new water to towns and farms in the Columbia Basin, and for endangered salmon, in three decades. The incremental storage releases at Lake Roosevelt will draw down the lake by an additional foot in normal water years and 1.8 feet during drought years. An acre-foot is the amount of water needed to cover 1 acre to a depth of 1 foot, or about 325,850 gallons. 132,500 acre feet of water amounts to more than 43 million gallons. The management plan has included dozens of studies and input from organizations, individuals, local governments, PUDs, environmental groups and educational organizations. It also required significant buy-in from tribal stakeholders. Historic partnership agreements with the Confederated Tribes of the Colville Indian Reservation and the Spokane Tribe were key to its success. Click here for frequently asked questions about the management plan. Click here for more on the Columbia River Basin Water Management Program’s goals, objectives, and mission. Click here for the Columbia River Basin Water Management Program’s timeline. Listen to the audio file of this interview here . Today we begin a series of conversations on "Our Northwest Water." Historically, water in the Northwest is cheap and always there when you turn on the faucet. But some communities in Eastern Washington's Columbia Basin may soon be unable to meet their water needs. Correspondent, Sueann Ramella spoke with water expert, Michael Barber, about the growing problem. Michael Barber: We have a finite amount of water. We need water. We need it for growth. People are coming. Our cities are expanding. Most places have population projections that are still trending upward. There are huge issues related to how much water is needed for salmon and we still get a good portion of our GDP from agricultural sources. In short competition for our resources comes from fish, farms and towns, and there's something else to consider. When you superimpose the problems associated with climate change, where we have perhaps more water in the winter but less water in the summer, when we all need it, we are setting ourselves up for some very tough years. And what are some proposals in Washington State that will help in tough years? Well, "Blackrock Reservoir" is a proposal being evaluated by the U.S. Bureau of Reclamation, would take water out of the Columbia River during winter time, or high flow periods, pump it up into an off-channel reservoir, off-channel means its not on an existing stream, it's on a kind of dry gulch, and then they would release it for irrigation purposes in the Yakima Valley, and the Yakima instigators would not take their water out hte Yakima River. So the river flows would be higher for salmon. And how would that guarantee water throughout the year? We have water during the peak snow melt. In general we don't have a shortage in March or April. We have our shortages in July, August, and September. Their plan would be to take that water when it wasn't needed in the Columbia, pump it up over a hill into a different watershed. While it's technically feasible to do that, the real impediment is going to be cost. Now, in Central Washington, agriculture needs a lot of water there, and the plan was to get it from Lake Roosevelt, instead they're drawing water from the Odessa Aquifer. Dr. Barber, tell us what's going on there now. In that case they're actually running out of water. They're pulling the water table down 10, 12, 15 feet a year, in some places, because they are orrigionally, when the water rights were issued, thought that they were going to build an extension to the Central Valley Project, what was called the East High Canal, which takes water from Roosevelt Lake and Banks Lake, and delivers it to the central part of the state now for irrigation, but the federal government canceled the East High Canal 50/60 years ago, because they decided at the time that it wasn't cost effective. Well, there's a lot to consider when it comes to cost, especially when you add an industry, revenue generated by agriculture, fish and recreation, and not to mention growing communities. Thank you Dr. Barber. Next week we'll ask Michael Barber about the impact of Central Washington agriculture on the Columbia Basin water supply. What Do We Know About the Columbia Basin and Climate Change? Kurt Unger works in the policy and planning division of the water resources program for Washington State Department of Ecology. His name is on a comprehensive presentation from the department on water use and climate change.